Advanced cyber-physical systems such as mobile, networked robots are increasingly finding use in everyday society. A critical aspect of mobile robotics is the ability to react to a dynamically changing environment, which imposes significant requirements on the robot perception system. The perception system is key to maintaining safe navigation and operation for the robot and is often considered a safety-critical aspect of the system as a whole. To allow the system to operate in a public area the perception system thus has to be certified. The key issue that we address is how to have safety-compliant systems while keeping implementation transparency high and complexity low. 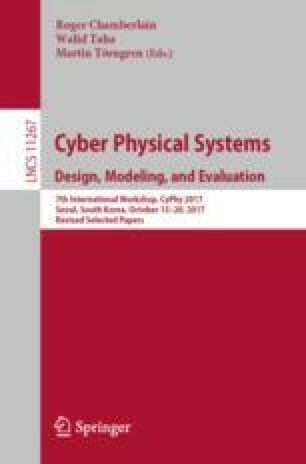 In this paper we present an evaluation of different methods for modelling combinations of simple explicit computer vision rules designed to increase the trustworthiness of the perception system. We utilise the best-performing method, focusing on keeping the models of the perception pipeline transparent and understandable. We find that it is possible to improve the safety of the system with some performance cost, depending on the acceptable risk level.